The "Calendar Stats" feature provides a quick, at-a-glance overview of your revenue for the day, week, or month for the chosen staff member. 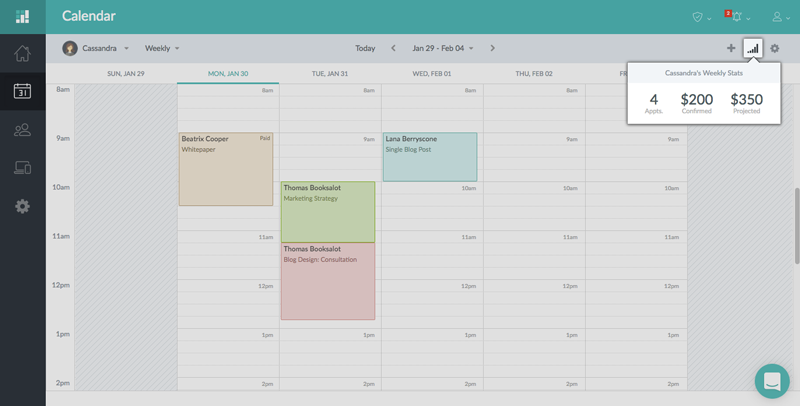 The calendar stats are automatically generated based on whichever calendar view and staff member you have selected. So for example, if you currently have a weekly view selected, then you'll see all confirmed and projected revenue for the week. If you have a monthly view selected, then you'll see all confirmed and project revenue for the month. Confirmed revenue indicates the aggregate cost for all appointments that have already occurred in the day, week, or month. Projected revenue is the aggregate cost for all appointments that are scheduled for the day, week, or month. In your Setmore calendar, simply mouseover the graph icon in the top-right to view calendar stats. 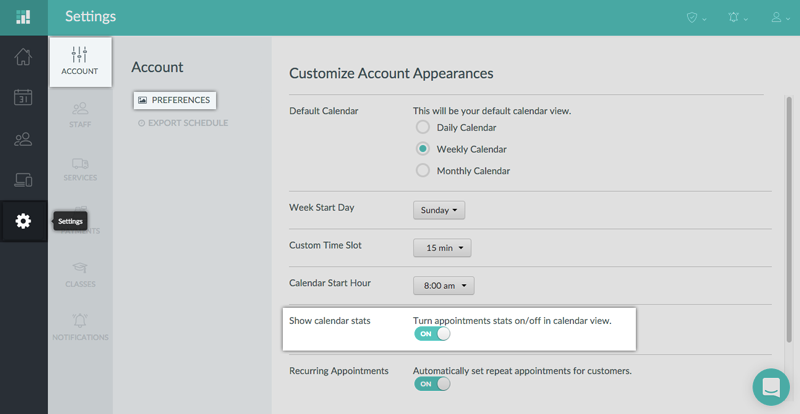 You can turn off calendar stats by navigating to Settings > Account > Preferences, then scroll down to the "Show calendar stats" option and click the "On/Off" switch to the "Off" position.